Shakou Park Ridge, one of the Top 10 Asian Eateries in Chicago, brings you a trendy modern Asian cuisine restaurant featuring a “city vibe” in the suburbs atmosphere. You do not want to miss the succulence, style and sophistication of the dining experience at Shakou. 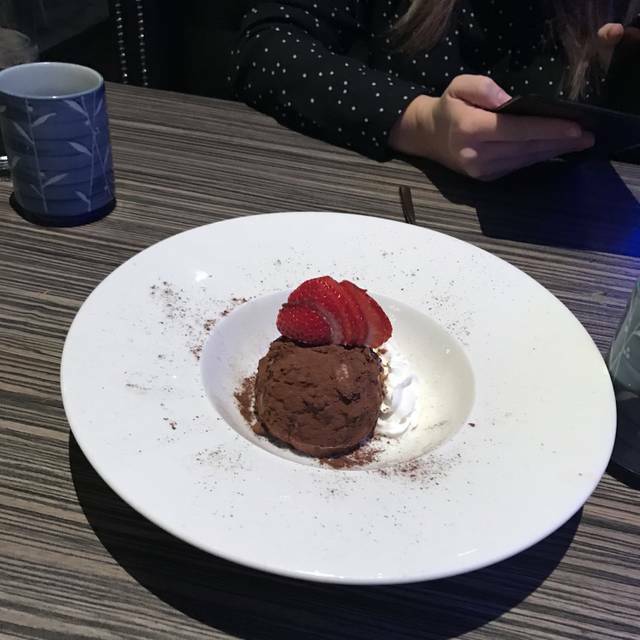 The incredibly talented Shakou chefs have mastered the art of producing the menu’s tasteful innovations that offer something for everyone, including vegetarian and gluten free diners! The quality and freshness of every ingredient that goes into the Shakou Signature menu items is unparalleled in the industry. 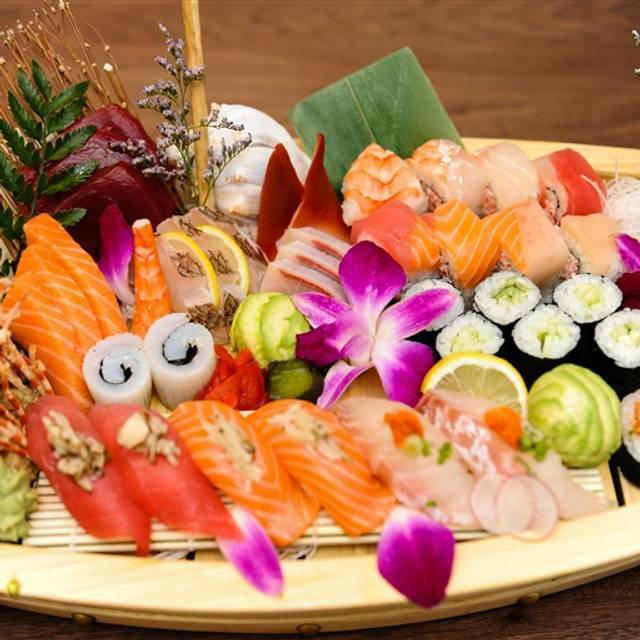 Shakou’s menu will satisfy sushi connoisseurs and novices alike. 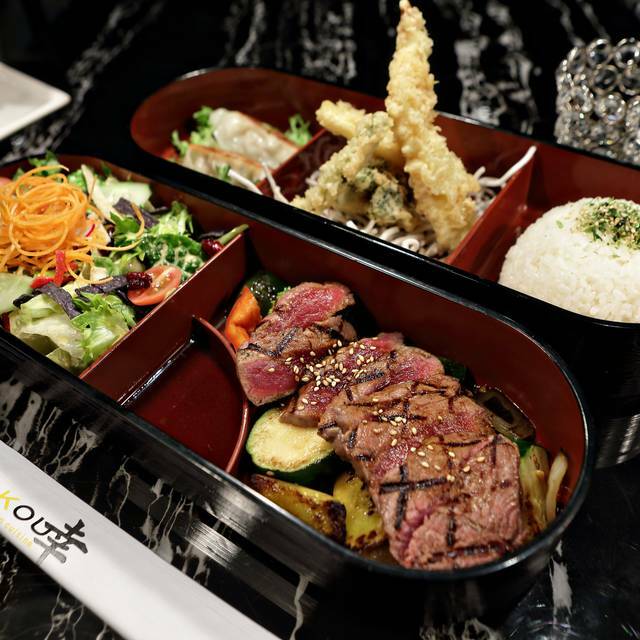 For the land-lover, Shakou offers contemporary versions of some Asian classics including Teriyaki, Tempura and Katsu. 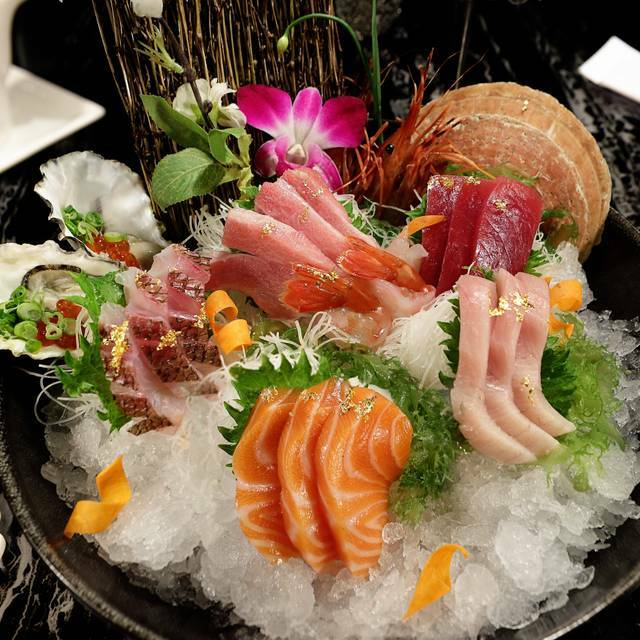 From the impressive wine and cocktail list to the diverse dining and delectable dessert options, everyone will be amazed with the dining experience at Shakou! Call to book today! Dinner out with the girls. Attentive service. Three sushi rolls, Ocean Drive was one. Opted to have rolls with black rice. Everything was really good. The space is beautiful. There are many chefs so the sushi came out fast and all the dishes came out together. The fish is fresh. The tempura crispy. They have a full bar with beer and saki Save room for desert. Been here a few times. Service terrible. Couldn’t get a drink or water refill. Food just fair no flavor. Industrial Dance Audio keep the help moving fast but does nothing for the customers digestion. Lighten up it's a rest runt. Chicken Strips were leather. Take home for the Dogs, tryed chewing then gave up. Sushi had nice big fat pieces. I like that. I'm glad they are there and close. The other dishes make it possible as my wife will not eat Sushi. Steak and pork are important cause city ppls do not like fish. I can see eating there once a month. This is actually a compliment. Good service, extensive menu of good quality. This is a large and loud dining room; good for people who want energy and aren’t looking for quiet, relaxed conversation. We moved to the north shore and were in search of a sushi place. We tried a few places yet none were a good fit for us. It seems so many suburban sushi places rely on a lot of sauces for their rolls which can ruin the flavors of the ingredients. We found Shakou (surprisingly on Yelp) and it's now our goto sushi in the burbs. We really appreciate the great food and the great service from all the staff. Been here 3 times. Love it. Ordered Shakou Salad. It was gigantic with a perfect dressing. 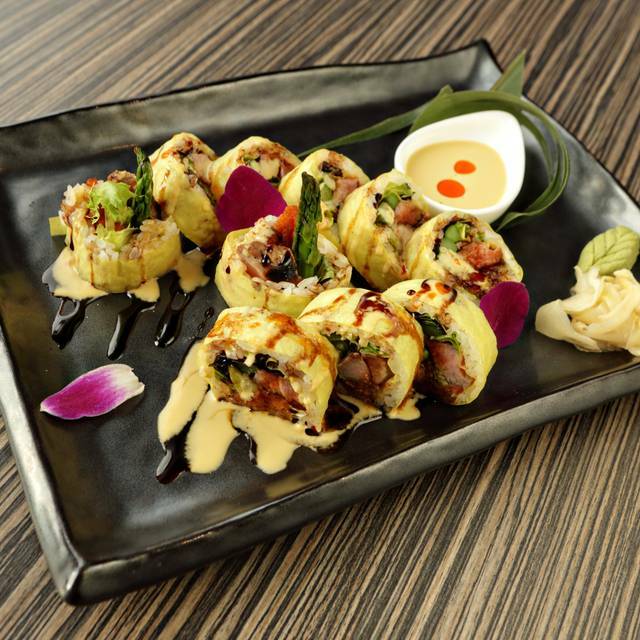 Calamari tempura is some of the best we've had. Sea star had an incredible taste and presentation. Philly roll, salmon roe sashimi, and bim bap were perfect. We said if we came back we'd have the exact same meal. A trendy, cool-feeling place in the suburbs with consistently good service. Will 100% come back. Note: If you have a bad back avoid the booths. Always amazing food! Great ambiance. Perfect for birthdays or date night! As always Shakou was wonderful! Will definitely be back soon! The booths are terribly uncomfortable for a medium sized woman. By the time lunch was over I had a definite back ache. We were catching up and they were very gracious about not rushing us. We decided to sit in a booth, but it was incredibly straining on our backs. We moved to a table, but it took over 20 minutes for anyone to even offer us drinks. Our server was nice, but did not come regularly to check on us. The food was good, dumplings are always the best here. Next time I would sit in the high top section as I received better service during my previous visit. Great service!! Juju is friendly, warm and super nice! Food was great!! Great dining experience as usual. This is what you want sushi to taste like!! I would give ten stars for ambiance if I could - gorgeous. The food was delicious, the service great and I could hear my friend's conversation! Our server was incredible, Christina, and everything else was just the cherry on top. 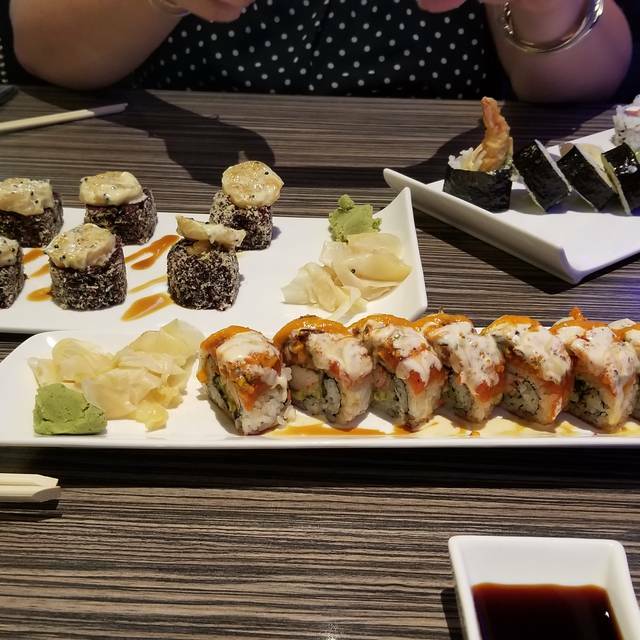 We had calamari, seaweed salad, oysters, edamame, crab cakes, seared rice with tuna, golden lobster roll, dynamite roll, and one other delicious roll. Oyster weren’t a fave but who cares, everything else was incredible. Wine and cocktails were also on point. Our waiter was wonderful and attentive. We have a little one under one and the table and set up was perfect. Thank you for the great food and attention. 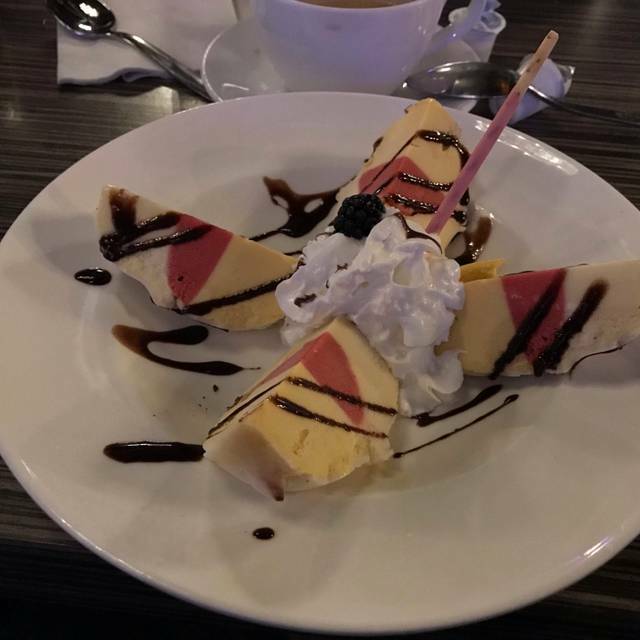 Great sushi, great atmosphere, great date night spot! Ambience decor food and service are all TOP NOTCH! We LOVE the food. Always prepared and presented really well. This last visit my usual favorite drink seemed on the weak side. That was our only "issue" that might just have been a fluke. The 'Fire and Ice' normally is great. I really enjoy Shakou for lunch. If you are looking for a loud place to be seen in Park Ridge this is the place for you in the evening.It tends to be too loud and trendy for me. I prefer a quieter low key dining experience. So lunch at Shakou is the perfect time for me. Go and enjoy which ever time you prefer. 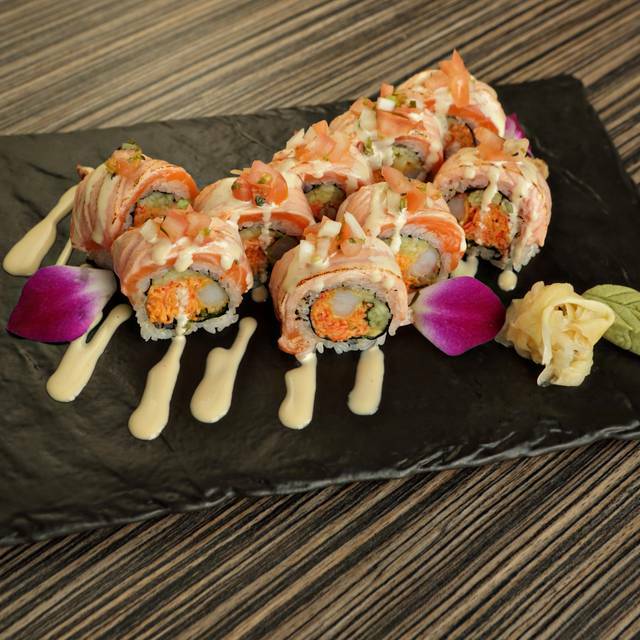 Great place with tasty selections of sushi rolls and other Japanese and Korean dishes. Our rolls we received were excellent. They only lost a star because the booth we sat in sunk down to the point where it was awkward. They need to renovate their booths in the worst way. Great service! Amazing food and cocktails!!! Always delicious at this location. Amazing place for a night out with family or friends. Celebrated my birthday here. Our server knew the menu well and took care of us whenever we needed anything. My family is picky with their food but everyone found something they loved. 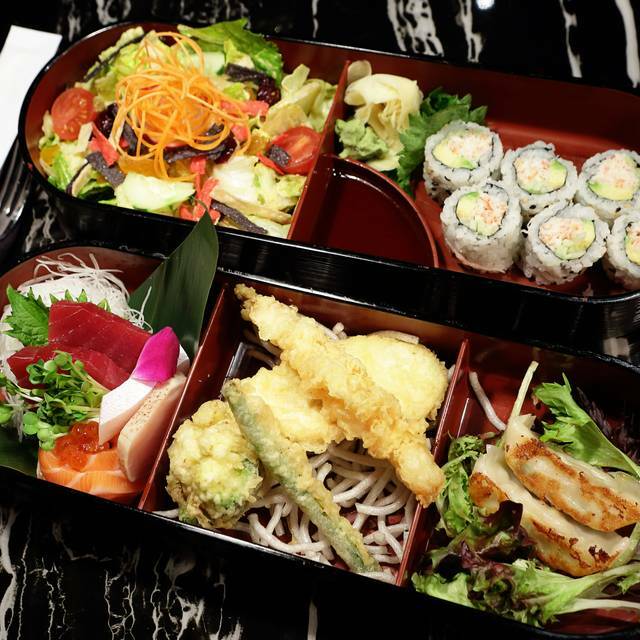 Favorites were the green tea, black widow maki roll, and the bento box lunch specials! We go to this Park Ridge location quite often. We absolutely love it here!!! Our waiter Bobby was excellent and the food was amazing as always! The management is also friendly and very accommodating . I highly recommend this restaurant!!! We had a wonderful evening. Our service was great, server was extremely attentive. Food and drinks were delicious. Shakou has a great atmosphere and the food is absolutely fantastic! Ask for the server Bobby if you get the option! Highly recommend! This was our second time for lunch here and I have never been happier to dine at a restaurant. Great service and food. Amazing atmosphere, chic decor and phenomenal food. Our new sushi restaurant! The food is great! Make sure to order the "fresh wasabi"....completely different taste! Fabulous food & service. Every meal at Shakou is a consistently memorable evening. This place is the best. The only suggestion I would have is making the booths with more cushion. Because you sink when you sit. I’ve eaten here before and enjoyed the food and service. Had an off night on Friday, I sat at a table in the dining room and it was so dark I could barely see the menu. The food came out so fast so we had the steak arrive before the salad and when we asked to hold the steak it came out the 2nd time over cooked. I like this restaurant, however, I wish they would time it a bit better so you can finish one course before moving to the next. Love the valet parking and booth seating when it’s available. My husband and I eat here often, and this time we took a friend for a birthday. Never disappoints! The wait staff is professional, the food is great, and management is top notch! !